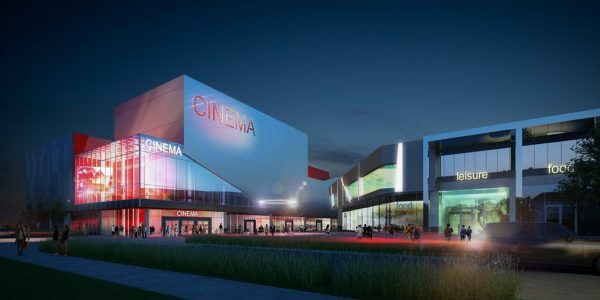 Work has officially started on the phase two development at Thorpe Park Leeds with a 44,000 sq ft, ten-screen Odeon cinema designed by The Harris Partnership for Scarborough International Properties and Legal & General Capital (LGC), anchoring the leisure core. Phase two is delivering a further 1.65 million sq ft of mixed use accommodation including an additional 940,000 sq ft of Grade A office accommodation alongside the 300,000 sq ft shopping and leisure park, as well as extensive parkland and sports facilities. Boots has also agreed to take a 15,000 sq ft store next to M&S Simply Food joining Next, TK Maxx and the Outfit.